Do you know how much your healthcare costs, really? If you could shop for doctors and procedures like you shop on Amazon, what would that mean for the business of healthcare? In this series, we explore various approaches state legislatures are taking to reduce healthcare costs, increase price transparency, and promote competition among insurers and providers. In this first installment, we look at All-Payer Claims Databases, which are efforts to liberate and publish price, quality, and utilization data for patients and researchers. The Source on Healthcare Price & Competition is an independent, nonprofit initiative of the UCSF/UC Hastings Consortium on Law, Science & Health Policy that serves as a multi-disciplinary resource for information and analysis about healthcare price and competition. Introduction: What is an All-Payer Claims Database? To appreciate this mechanism of aggregating price data from insurers, a moment must be spent considering the medical billing cycle and the nature of negotiated rates, which make healthcare purchases differ significantly from typical retail transactions. For insured patients, prices for the entire inventory of medical services a provider (doctor, hospital, medical facility, etc.) offers arise out of a negotiation process between that provider and the patients’ insurance companies. Because each insurance company negotiates rates in bulk for a large number of potential patients, those negotiated rates are at a discount from the rates just imposed on uninsured patients (for hospitals, the “chargemaster” rates). And, because prices are set by negotiation, rates can vary wildly between doctors for the same procedure, and even between insurance carriers. Finally, negotiated rates, though lower than chargemaster rates, are often significantly higher than Medicare rates, which are set by the federal government. The medical billing cycle is similarly tortuous. When an insured patient obtains medical care, the provider does not bill the patient directly. Instead, the provider first submits a claim for services rendered, based on uniform medical billing codes, to the insurer. The claim is then processed by the insurance company, and will contain patient demographic information, codes for the services rendered, and the corresponding charges based on the insurer’s negotiated rates with that provider. Insurance carriers are often called third-party payers because the patient/consumer is removed from the direct transaction. 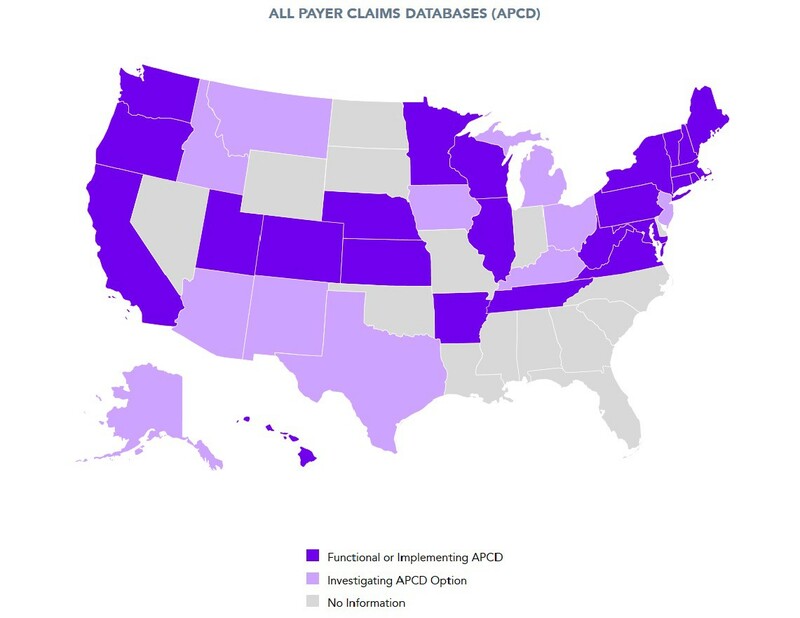 An All-Payer Claims Database (“APCD”) is an electronic system that aggregates those claims and administrative data from third-party payers. APCDs allow states to monitor utilization and healthcare charges across all the third-party payers, and, as such, are key tools for policymakers to identify and respond to systematic trends among (nearly) all delivery settings. As we will see, APCDs have the potential to disrupt the provision of healthcare by making services “shopable,” fostering competition between doctors and driving patients to better and cheaper providers and insurers. The majority of APCDs are currently mandated by state law, with rules requiring the submission of claims data to a collection agency. 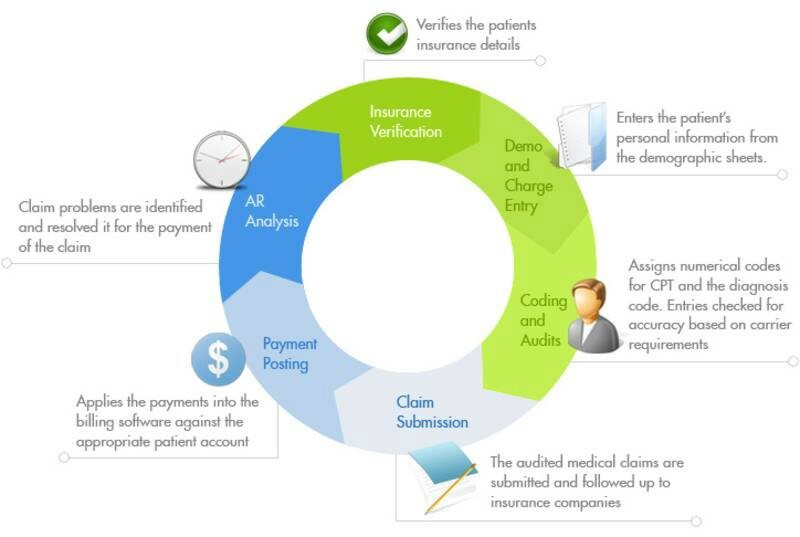 As above, an APCD collects claims data directly from the insurer/third-party payer arising out of a transaction between a covered (insured) patient and a healthcare provider. For the purposes of data collection, a potential payer may include the following: a commercial insurance carrier, like Aetna or UnitedHealth; a third-party administrator, who manages claims for employer sponsored plans; pharmacy and dental benefit administrators; Medicaid, which is a government regulated and state administered insurance for low-income patients; the Centers for Medicare and Medicaid Services (“CMS”), which manages public insurance for seniors; the Federal Employees Health Benefit Program; and TRICARE, the uniformed service’s insurance program. Due to the unavailability of claims data, self-payers and uninsured patients are not typically included in APCDs and are not subject to the reporting statute. Although there is no uniform nationwide data collection standard with respect to the submission of claims data under an APCD program, the following data is typically included: (1) patient social security number or member ID; (2) type of care plan and contract; (3) patient demographics; (4) diagnosis/treatment code or drug code; (5) service provider information; member payment responsibility; (6) type and date of bill paid; (7) facility type; (8) revenue codes; and (9) services dates. APCDs can grow out of voluntary efforts, too. Generally, failure to provide the mandated data can result in penalties to the insurance carrier or reporting entity. An APCD can be created voluntarily, too. For example, The California Healthcare Performance Information System (“CHPI”), a public benefit corporation, administers a voluntary APCD that consists of claims from Medicare fee-for-service, Anthem Blue Cross, Blue Shield of California, and United Healthcare. Colorado’s price comparison tool is a nice example of an APCD in action. For example, Massachusetts mandates the creation of a consumer website to facilitate price shopping (see also Maine, New Hampshire, and Colorado). Efforts to create price transparency websites for consumers from payer data mirror certain voluntary efforts by hospital systems to encourage shopping among their member hospitals by posting price data directly (e.g. Wyoming), or collaborations between the state and hospital associations to do the same (e.g. Iowa, Minnesota). Employers with self-funded plans can benefit from APCDs by comparing claims data across coalitions or against other payers to track the performance of their plans. Widespread adoption of price shopping for healthcare could be just around the corner. Commercial insurers benefit when patients shop for healthcare because patients will actively select cheaper and better quality alternatives. Recently, a voluntary collaborative of major health payers (currently, Aetna, Assurant Health, Humana, and UnitedHealthCare) agreed to provide the Health Care Cost Institute with health insurance claims data to create guroo.com, a multi-state price comparison tool for over 70 common health services based on actual amounts paid to providers. The Guroo tool is particularly novel because it allows consumers to make state-by-state comparisons, and to compare their health costs against the national averages. Second, APCDs can be used to determine the effectiveness of healthcare cost reduction strategies and delivery reform. For example, New Hampshire is using claims data from its APCD to monitor the effect of accountable care projects (collaborative provider structures that are compensated on the basis of value delivered, rather than just fees for services rendered). Vermont is using its APCD to study patient centered medical homes, which are an integrated form of primary care delivery intended to increase quality and reduce waste. Third, researchers can benefit from APCD data in tracking population health and utilization (the measure of how often patients are seeing doctors and obtaining services). Some states are reportedly working towards linking clinical data from provider health information exchanges and plan design (the structure of benefits) from health insurance exchanges to study the linkages between clinical outcomes and plan design on spending. Colorado has made significant strides towards realizing the potential of APCD resources for researchers. Colorado’s APCD permits organizations to promulgate customized data requests that further the state’s Triple Aim in healthcare: improved health outcomes, lower costs, and better care. Colorado launched a showcase of ways other organizations (predominantly non-profits and state government) are using customized data sets in the areas of health coverage and rate setting, outcome/cost improvement, and payment reform. Projects of note include: a study by Project Angel Heart, a non-profit, to determine whether home-delivered meals to chronically ill patients will reduce overall healthcare expenditures; a study by the Colorado Health Institute to assess the impact of the ACA provisions requiring no cost-sharing for preventive health services on utilization; and a study by an orthopedic care provider to investigate opportunities to implement bundled payments as an alternative for fee-for-service. The APCD council is spearheading efforts to harmonize state-by-state APCD efforts. According to the APCD Council (a collaboration between the University of New Hampshire and the National Association of Health Data Organizations), there are 12 operational state APCDs, 6 more in implementation, and 3 existing voluntary efforts as of February 2015. Additionally, we have independently cataloged state and private efforts to investigate the feasibility of enacting an APCD — check out the Source APCD map for more information. According to our data, feasibility studies or APCD related investigations have been initiated in 10 states by the end of 2014. The current state of affairs as of early 2015. Functional All Payer Claims Databases exist in over 15 states to date. As APCDs are a fairly recent invention (Maine’s being the first in 2003), their specific contribution on healthcare pricing and quality has not been comprehensively determined. To the extent that APCDs facilitate price shopping when used as consumer price comparison websites, there is evidence that transparency regulations can drive down prices for common, uncomplicated elective procedures. Nevertheless, there is concern that weak provider competition may blunt the impact of transparency initiatives, and that consumers may not be sensitive to price changes where carriers are responsible for the lion’s share of payments. The increased adoption of high-deductible health care plans under the ACA may spur increased consumer price sensitivity, however. Ambivalence towards the effectiveness of price transparency initiatives notwithstanding, various APCD programs are already beginning to generate valuable research respecting trends in cost, quality, and utilization. To date, the APCD Council has compiled a list of over 40 of such studies. There are several implementation and design challenges facing the establishment of an APCD, including (1) privacy/security, (2) accuracy and integrity, (3) comprehensiveness, (4) antitrust violations, (5) claims of trade secret, and (6) cost. Data privacy and security are central to ensuring a viable data sharing regime. The recent large scale data breach at Anthem underscores the risk of maintaining a comprehensive electronic health resource with potentially sensitive patient data. Providers may be concerned as to whether reports and consumer websites based on APCD data will accurately reflect prices and quality; to wit, whether they will account for variation in the complexity of cases and the subjectivity within quality of care. Assessments of “quality” are often conflicting, and there is marked lack of agreement over ratings methods and appropriate measures of performance with respect to healthcare facilities. A comprehensive APCD with data from 100 percent of payers may be difficult to obtain. Data from employer sponsored plans can be hard to capture unless there is a third party administrator, and some administrators have litigated whether state APCD reporting mandates are preempted by ERISA. As noted above, data respecting self-payers and the uninsured are not typically included in APCDs. 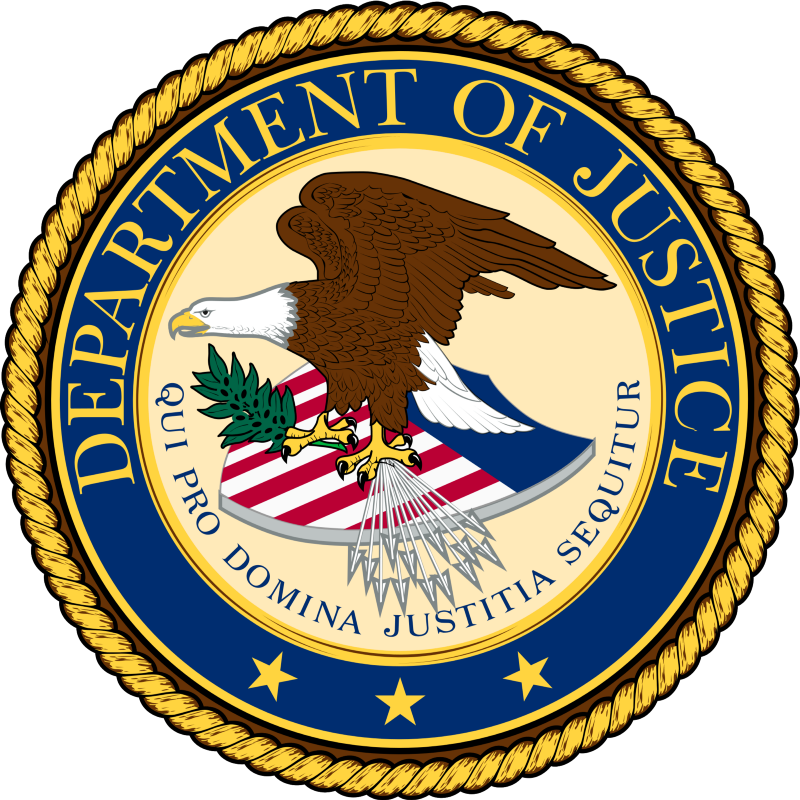 State agencies and APCD operators may be concerned that the release of negotiated price information could lead to collusion in violation of state and federal antitrust laws. Some insurance carriers and providers are likely to object to the collection and public release of negotiated rates, claiming the information is confidential per “gag clauses” in contracts or subject to trade secret protection. Multi-state Insurance carriers may be concerned with the administrative cost to comply with multiple APCD database data collection formats, which may be alleviated by harmonization efforts. Data collection standardization could facilitate the creation of a nationwide APCD. The cost of establishing and maintaining an APCD may also be a significant impediment towards their universal adoption. For example, in 2013, the New Jersey Department of Banking and Insurance declined to apply for a grant from the federal government to create an all-payer claims database, citing the annual cost of maintaining the database as the primary factor. A report by the Rutgers Centers for State Health Policy indicated other states pay between $200,000 and $1.5 million annually to maintain, operate, and analyze information arising out of an APCD. For up-to-date information on state implementation efforts, please check the Source APCD map. Additional legislative topics and information for each can be found in their respective state pages under Legislation/Regulation or by navigating through the “States” tab.